All-purpose pure refined coconut oil for cooking and eating. 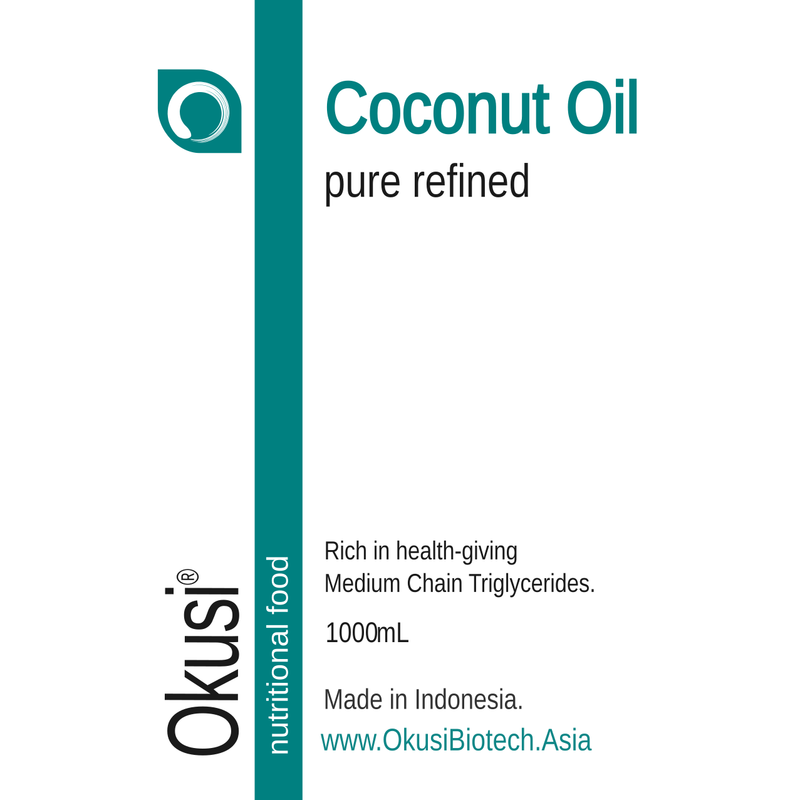 Okusi's pure refined coconut oil is for both cooking and eating. Copra-based refined coconut oils are usually referred to as RBD coconut oils. RBD stands for Refined, Bleached, Deodorised. The bleaching is not a chemical process, but rather a filter process to remove impurities and detritis from the raw coconut oil. A bleaching clay is used for this filtering. Steam is then used to deodorize the oil, since the starting point was copra. So the resulting product has a bland taste, with little or no odour. One of the misconceptions propagated on the Internet is that only virgin coconut oils (VCO) are healthy, while refined coconut oils are not. This is completely untrue. In fact, generally, the opposite is the case, with VCO containing many more impurities and contaminants compared to RBD. Only VCO that is freshly made under hygienic conditions can be said to be as healthy as RBD. However, the vast majority of VCO on the market is neither fresh, nor produced under hygienic conditions. RBD coconut oils have been on the market for many years now, and are the primary dietary oils consumed by billions of people around the world. The RBD refining process does absolutely nothing to alter the vital fatty acid profile of coconut oil, so all the medium chain fatty acids are kept completely intact.